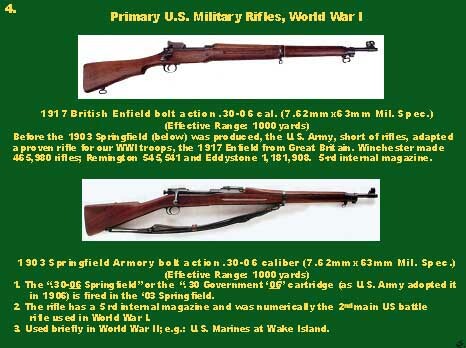 Popular military rifles.... history, evolution, calibers. 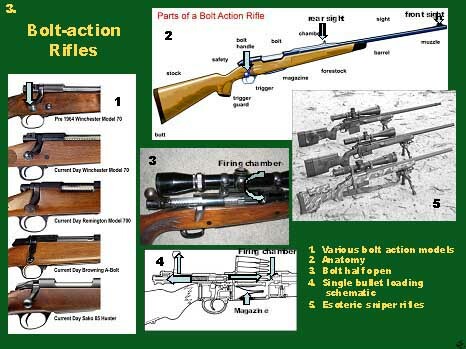 The rifle most popular for hunting .... military applications. 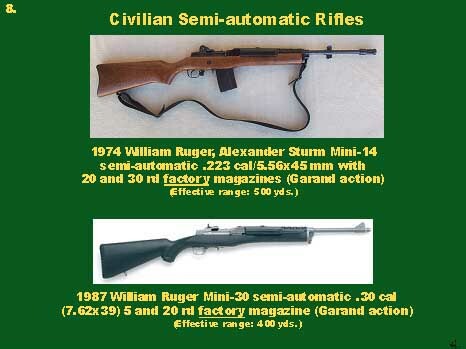 Semi-automatic rifles..... calibers and applications. 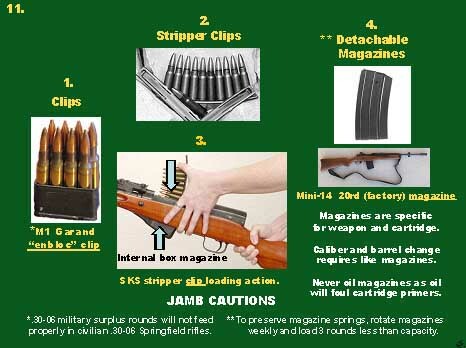 Rifle accessories. 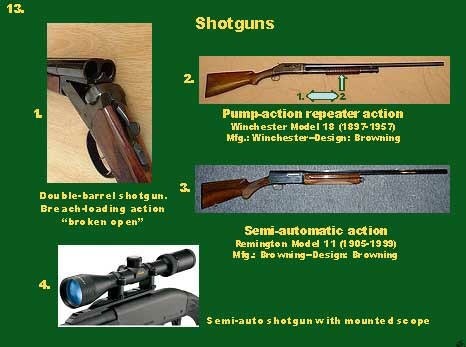 Diverse designs.... types of shotgun shells (shotshells), target impact. 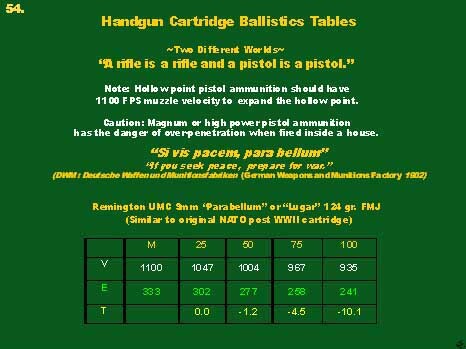 Calibers, components, bullet types, target impact, availability. Interpretation of terminal ballistics affected by velocity, energy and trajectory. 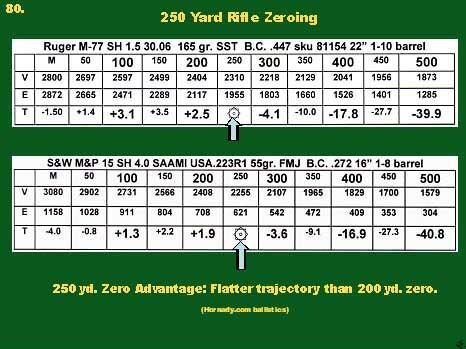 Achievement of a flatter trajectory considering bullet weight and velocity. Using bore sighters. 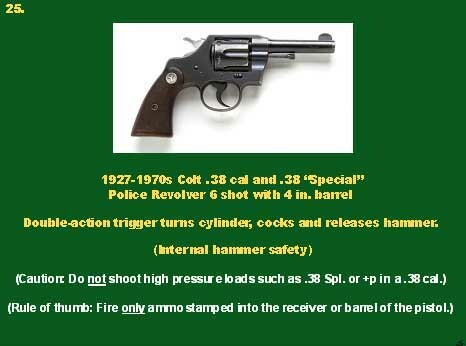 Single action, double action, calibers, safety considerations. 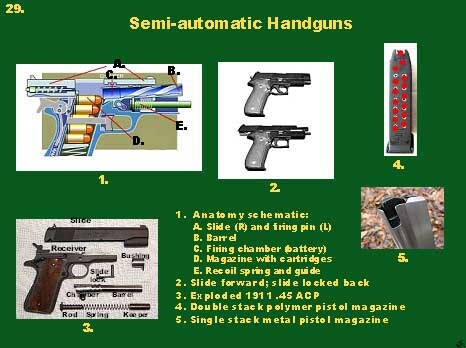 Function and safety of semi-automatic pistols: calibers, magazine capacities. 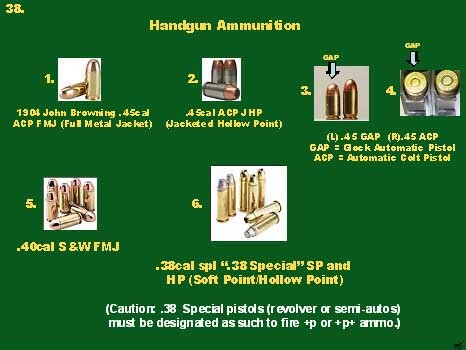 Calibers, components, bullet types, impact, personal defense ammunition. 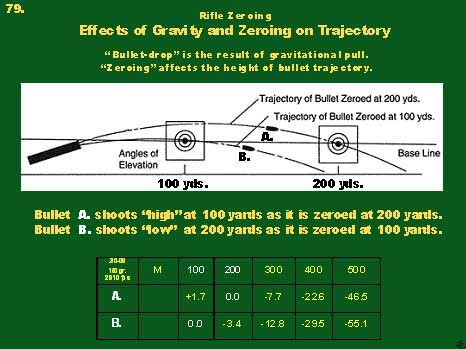 Interpretation of the effects of velocity, energy and trajectory, including terminal ballistics. Effects of trigger pull---2 popular grips. 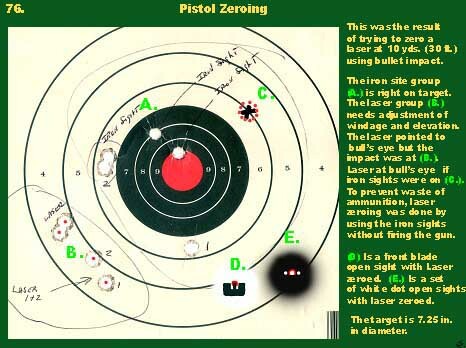 Zeroing of pistol lasers. They exist for informational purposes only.